Complimentary Consultation with Public Adjuster! Recovering from Catastrophes such as Hurricane Michael is complicated and obviously quite expensive. We all know that we can file a claim to help recoup from losses such as these. The question is, what can you do in the event that you don’t have insurance or you have insurance but it is not enough to cover your losses? The good news is that there are options. 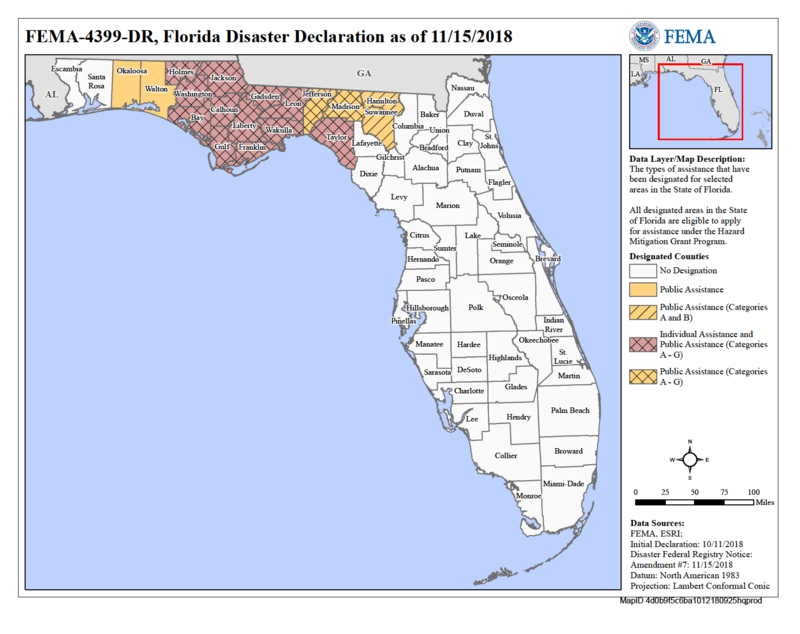 Federal Assistance for Victims of Hurricane Michael is available. There are 2 widely used options that we have seen our clients take advantage of in the past, they are FEMA’s Disaster Assistance Program and the SBA’s Disaster Loan Assistance program. Below I will briefly explain how each of these Federal Programs can assist in your recovery from Hurricane Michael. FEMA’s disaster assistance may include grants for emergency repairs, uninsured or underinsured personal property that was damaged, assistance with Temporary Housing along with other expenses you incur due to the event. After registering for this assistance you will hear from a FEMA inspector that will come to survey your damages. There is an application process and their assistance will likely vary depending on each individuals situation. To apply for this assistance online, visit www.disasterassistance.gov. The U.S. Small Business Administration (SBA) provides low-interest loans to help Homeowners & Businesses recover from declared disasters such as Hurricane Michael. These loans have been very helpful to many of our past clients. For more information or to apply SBA Disaster Assistance, please click here to visit the SBA Disaster Assistance website. Below is a video that explains the SBA Disaster Assistance Programs in more detail. For assistance with your Homeowners and/or Business Insurance Claims due to Hurricane Michael, we are offering a Complimentary Claim Consultation with a Florida Public Adjuster. Free Claim Consultation with Florida Public Adjuster!